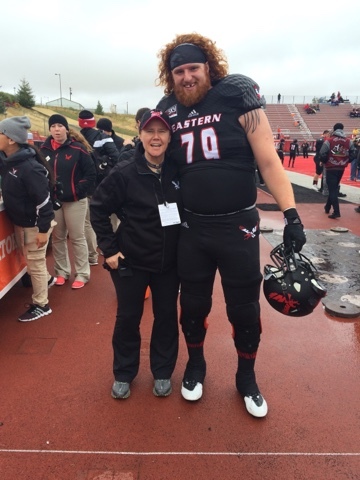 On the sidelines with the Eastern Washington University football team for their BIg Sky game against Weber State! 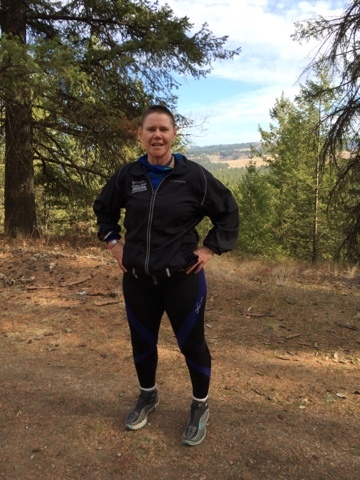 Awesome day on the trails in Riverside State Park. Discovered some challenging new routes! Six years ago today I was diagnosed with breast cancer and my life has forever been changed. It has been a honor and privilege to have been chosen to follow this journey. I know where I have been, I know what I have achieved, and I know where I want to go. I still have a lot of fight left in me! 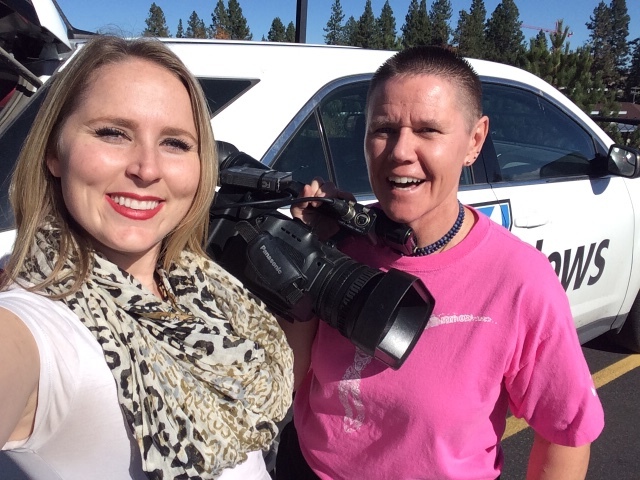 Thanks KXLY Allie Norton for the great interview today! Here is the completed Pink Glove video we filmed a couple months ago. Special thanks to the Spokane Police Department and the Eastern Washington University football team. 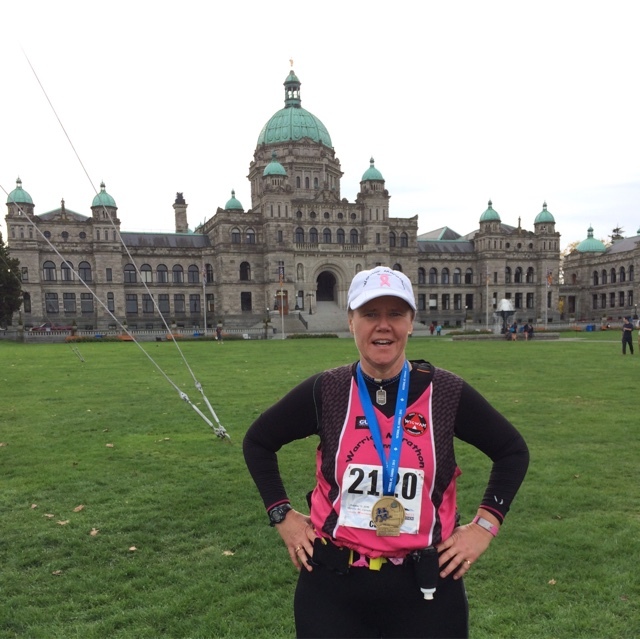 Finished my 288th marathon today here in beautiful Victoria, BC Canada. Can't think of a better way to continue my celebration of Breast Cancer Awareness month than by putting another 26.2 miles between myself and cancer! 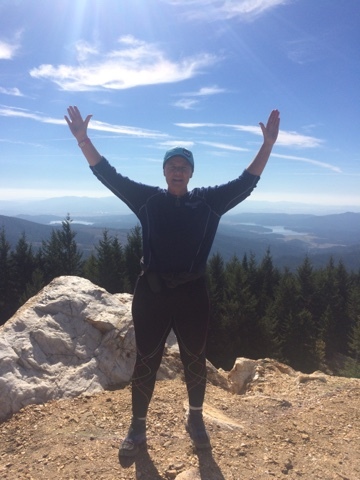 Nothing beats celebrating Breast Cancer Awareness month by hiking to the summit of Quartz Mountain! 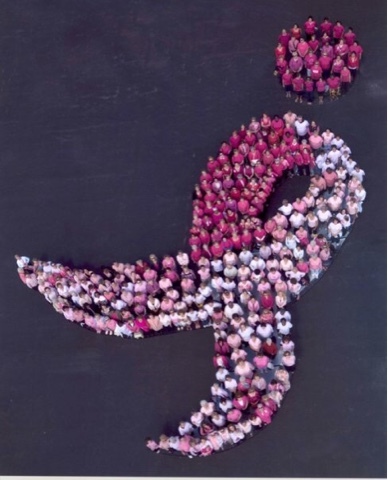 Welcome to the month of October.....Breast Cancer Awareness Month! As a breast cancer survivor every day this month feels like a celebration of life!